Home › All Posts › Don’t fix women or numbers, fix the system! Don’t fix women or numbers, fix the system! Catherine Mitchell famously argued in 2014 that the energy sector is very illustrative of the inequalities that characterize UK research institutions – minimal women presence in a space dominated by older and white males – with worrying effects on diversity of thinking and innovative thinking and practices during a period of important transformation, both within society and the energy sector. She called time for evening things up a bit by changing the governance process in place, and the provision of incentives that encourage new ways of doing things. Gender equality in the workplace is about fixing the system, not fixing the women. 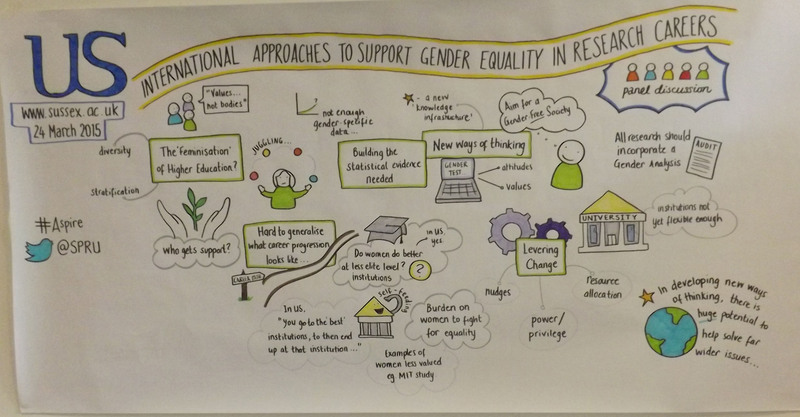 SPRU recently hosted a workshop to look at best practices for achieving gender equality in research. The overwhelming message from the discussion was that gender training should become part and parcel of institutional culture. The temptation to focus gender equality efforts on providing women with the “right types of skills” and increasing women’s numbers in the workplace is big, especially when the gender gap is wide. However, the approach imposes an undue burden on the individual woman’s responsibilities. Instead, responsibilities should be shared with the institution and society at large. Such were some of the ideas put forward at an interactive workshop on International Approaches to Support Gender Equality in Research Careers for postdoctoral research staff, early career academic faculty and final year PhDs, recently hosted at the University of Sussex. At the workshop, it was acknowledged that entirely focusing efforts on women developing the right range of skills remains limited and short-sighted, as women face institutional constraints beyond their own agency. Changes should take place through changing values, by creating appropriate culture and conditions and “fixing the system”, not women. Organised by the Science Policy Research Unit (SPRU) at the University of Sussex in partnership with GenderInSITE, the interactive workshop took place through the medium of a World Café and panel discussion. GenderInSITE is an international campaign to raise awareness among decision-makers on the gender and science, innovation, technology and engineering (SITE) dimensions of international development. The workshop brought together early career academics, an international group of GenderInSITE experts with experience in working in academia, industry, NGOs and policy, as well as the Athena SWAN Committee at the University of Sussex. Workshop participants exchanged ideas, experiences, concerns and good practices relating to issues of gender equality in career progression, which were mapped using live graphic recording and tweets. The discussion covered a broad range of issues, including what Universities can do to improve the support of female research staff throughout their careers; the types of skills needed by early career researchers to work with external stakeholders during high-impact, interdisciplinary research projects; and positive discrimination in research grants allocation. The core message of the workshop was that gender equality in contemporary research institutions needs a new knowledge infrastructure embedded within a strong institutional infrastructure. Instead of making gender an additional workload for women, and assuming that all women understand gender issues, gender training should become part and parcel of institutional culture. The workshop discussion identified key gaps in understanding gender issues and a lack of strategic capacity to link it to everyday work practices within universities and departments. And a lot can be done at the department level! Surprisingly, many universities don’t provide gender training for department heads in the context of their role (e.g. in management training by providing gender specific examples). Embedding gender equality at the department level can include a broad range of activities, starting with continuous training in and raising awareness of gender issues, and surveying women at different stages of their careers to identify key needs. Most importantly, the process of embedding gender equality requires going above and beyond the overarching equality and diversity policy at the university, and developing a department specific gender policy based on need and vision (the values the department/institution wishes to have). It could include practices, which will benefit both men and women, like engendering the teaching curriculum (e.g. through providing more gender balanced reading lists and explicitly integrating the contribution that gender studies have played to science theoretically and epistemologically); and putting in place strategies for developing an inclusive culture.Universities and research-oriented institutions need to get gender equality right, now more than ever! 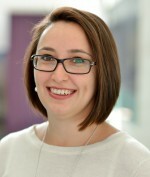 With ever increasing pressure for early career researchers to engage with non–academic partners, like industry, policy makers and society, and perform in the space between these domains, it is vital to provide support and enable women to obtain the place they wish to, and make it an enjoyable and attractive environment to work in. While many female early career researchers are not present in high impact meetings, many of those that do make it there end up as “mere bodies”, sitting at the table but lacking opportunities to speak up, express their opinions, disagree and/or raise concerns. One important way of addressing this is through the breeding of a culture of credit sharing with junior staff in team meetings and publications, to signal their value and expertise. This is particularly important in disciplines and research activities like energy, where female early career researchers are underrepresented, and requires providing access to both mentors and sponsors. The roles of mentors and sponsors are different and can aid career progression in a different but complementary way. While mentors support and advise early career researchers on a wide range of issues, for example finding a good work–life balance, sponsors are more senior members of staff, solely focused on promoting and developing the expertise, confidence and recognition of early career researchers in their specific area (e.g. by delegating public presentations to early career researchers). Sponsoring is more proactive than mentoring, and should be developed with gender equality at its core. Putting in place a sponsorship framework within the university would therefore require carrying out gender awareness training to make potential sponsors more sensitive to the difficulties female early career researchers encounter, and the ways in which they can support them (e.g. sponsors should be able to recognise a situation where an early career researcher is being excluded, and know how to address it). Dr Ralitsa Hiteva is a Research Fellow at SEG, SPRU, University of Sussex.